Acupuncture consists of the insertion of hair-thin, solid needles at specific points along the body's surface. Those needles are left in the body for a period of time (typically 20-40 minutes) and then removed. Acupuncture is a powerful tool used to treat a wide variety of conditions due to its power to stimulate the body’s own healing response; it does this by encouraging the smooth flow of energy known as qi (pronounced chee) through a network of pathways that run along the body's surface. Acupuncture enhances the immune system, causes deep relaxation, improves circulation, and promotes homeostasis and balance in the body. For a more comprehensive explanation of what acupuncture is, how it works, and what it can treat, click here. Jillian employs several different techniques and styles of acupuncture in her treatments including both Chinese and Japanese styles of acupuncture, Orthopedic acupuncture, and Dr. Tan's balance method. Cupping is a form of therapy in which glass cups or jars are positioned on the surface of the skin and held in place by suction (negative pressure). While traditionally this suction was created using heat from a flame, in more modern times a small hand pump is used instead. At Jillian Sobo Acupuncture, only the latter (and safer) pump method is employed. Cupping improves circulation, alleviates muscular tension, and rids the body of toxins. It is useful in the treatment of local musculoskeletal issues and pain, respiratory conditions, and internal imbalances, and is often reported by patients as feeling similar to a deep-tissue massage. 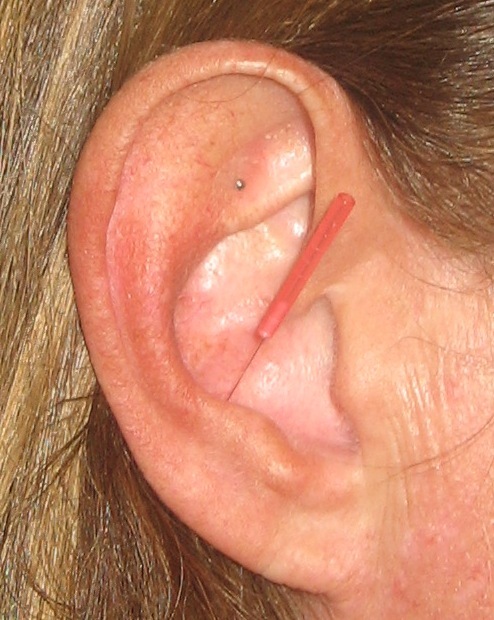 Auriculotherapy is acupuncture or acupressure that is applied to the exterior surface of the ear. The ear represents a microcosm of the body (known in Chinese medicine as a microsystem), and as a result, treatment of the ear is able to affect systemic change across the entire body, enhance internal organ functioning, and produce a tranquil sense of calm by relaxing the nervous system. Most often, auriculotherapy includes the use of tiny stainless steel pressballs that are taped to the surface of the ear in order to provide continuous stimulation to pressure points for several days following treatment. Chinese herbs are powerful natural medicinal substances that work internally to restore and promote healthy organ functioning and balance in the body. They can enhance and prolong the effects of acupuncture treatments, leading to quicker and more dramatic results. At Jillian Sobo Acupuncture, Chinese herbal medicine prescriptions take the form of pre-made capsules or pills, or a uniquely tailored powdered formula to be mixed with water and taken as a tea. Generally, Chinese herbs do not have the harsh side effects of pharmaceuticals, and do not interact with most prescription drugs. However, be sure to inform Jillian of any and all medications that you are taking, so that she may best assess whether Chinese herbal medicine is appropriate and safe for you. Tui na is a form of Chinese bodywork or massage. Similar to acupuncture in principle, its focus is to promote the circulation of qi and blood through the energetic pathways that run along the surface of the body, where acupuncture points are found. By manually manipulating the way that energy moves through these pathways and directly impacting tissue, one is able to correct imbalances and promote healing. At Jillian Sobo Acupuncture, tui na is often incorporated into acupuncture treatments, as it enhances acupuncture's positive effects and simply feels wonderful. Moxibustion consists of warming acupuncture points and channels. This is achieved through the burning of a specific herb, commonly known as "moxa" (Artemesius vulgaris), above and at a safe distance away from the surface of the skin so that the properties of the herb may penetrate and impact the interior. Moxibustion serves to enhance the immune system, promote circulation, warm the interior, and promote the smooth flow of qi and blood throughout the body. In Chinese medicine it is said that "food is our first medicine". Whether your goal is weight loss, better nutrition, ease of digestive symptoms, or simply feeling more balanced and satisfied day to day, diet contributes a great deal to overall health and wellness. As a result, nutritional and lifestyle counseling is almost always a part of your acupuncture treatment. Be sure to ask Jillian for additional attention in this area if it is of particular concern or interest to you.